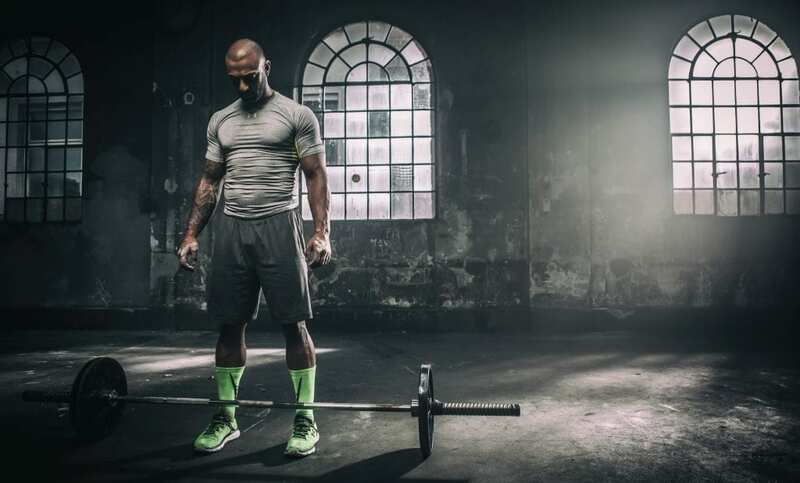 Time to transform your body and improve your performance. If you want to build muscle, you must eat properly, train correctly and recover effectively. Failure to fulfill any one of these three criteria will significantly slow your progress. For example, if you are training with discipline and intelligence, recovering properly yet you are not eating enough protein or calories, then you will fail. If you are following a carefully planned nutrition plan to the letter and being smart about your recovery, yet you aren’t working hard enough in the gym, then you will fail. You get the picture. Consider these three elements as pillars that will act as the foundations for your success, and for helping you achieve the goals that you desire. Hypertrophy is a scientific term used to describe the physiological process of developing and growing new muscle tissue. Two factors contribute to hypertrophy: sarcoplasmic hypertrophy, which focuses more on increased muscle glycogen storage; and myofibrillar hypertrophy, which focuses more on increased myofibril size. When you want to build muscle, quality nutrition is absolutely essential. In the bulking or muscle building stages, you will need to consume the correct amount of protein and operate in a hypercaloric state in order to support this process. It is important to understand calorie balance. Consult a nutritionist to determine the best amount of macronutrients for you in relation to your physique and goals. Foods such as tofu, fish, eggs, turkey, chicken and beef are all excellent sources of protein, but it can be harder than it first appears to consume the higher quantities necessary for muscle growth. 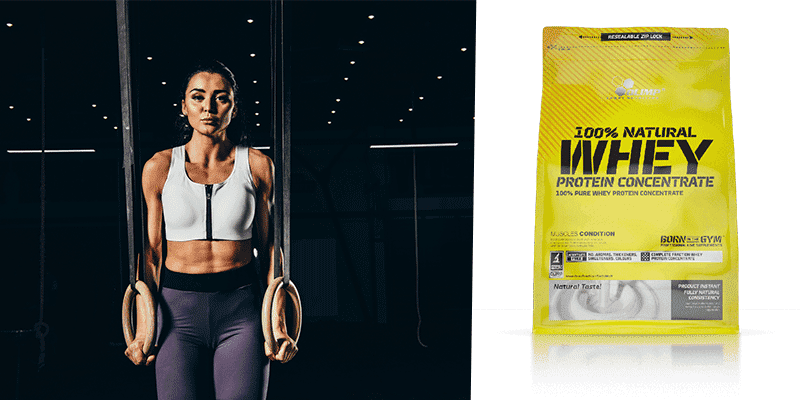 A quality protein supplement will give you stability and help to ensure that you hit your macronutrient targets, recover properly and get back into the gym ready to hit the next workout at 100%! Protein is the building block for muscle mass and hypertrophy and is hugely important if you are serious about building muscle. The 100% Natural Whey Protein Concentrate from Olimp provides 27 gram of protein per serving, perfect for maximising muscle growth! Casein protein takes longer to digest, and is perfect to consume before bed for example, when your body has time to absorb the essential proteins and amino acids that you need to recover effectively. Calorie balance is the ratio between calories taken in and calories expended in any one individual at any given time. It is a good idea to measure this out over the course of a week to cancel out most fluctuations, such as drinking more water. A negative calorie balance will always result in weight loss. Even though body water alterations may occasionally mask this loss of tissue, it is always going to occur, with ZERO exceptions so far discovered. A positive calorie balance means that the individual is consuming more calories than they are using, and will gain weight and size. In order to maximize your chances for muscle gain or fat loss, you must know when and how to enter a hypo, hyper, or eucaloric state. The hypercaloric state is best for building muscle and the hypocaloric state is most suited for cutting weight. Once you have determined a nutritional plan, a tried and tested hypertrophy program is a great way to build muscle. The following two are both excellent methods to help you achieve this aim. The 5 x 5 program is a common method to help people build strength, muscle and mass. You work your full body every session, with a rep range of 5 x 5 for all compound exercises. This is then followed by accessory exercises to finish each workout. 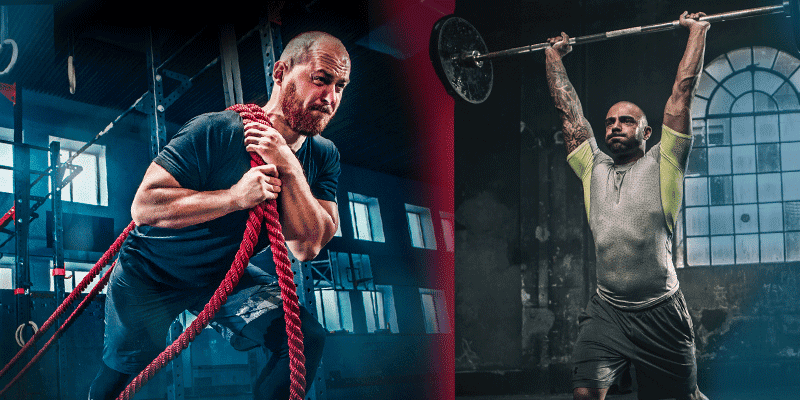 This program increases testosterone levels and stimulates muscle fibres constantly, leading to solid muscle growth and improvements in strength. Alternate between workout A and B three times a week with at least one day off between sessions. Add weight in incremental amounts each week, provided that you were able to complete the prescribed sets the previous time you completed that particular workout. For example, when benching in workout A, only increase the weight if you successfully lifted that weight for 5 sets of 5 reps the last time you completed workout A. Rest for 60 – 120 seconds between sets of the 5 x 5 compound lifts. Rest for 30 – 45 seconds between sets of the accessory exercises. The accessory exercises are exactly that, accessory exercises. The most important part is always the 5 x 5 compound lifts. There are many slightly different versions of this program but they all follow the same basic principles of progression and structure. It is advisable to add recovery and mobility work into your rest days, as this will help to improve your movement when you step back in the box, alongside helping you to recover much more efficiently. Make sure that you maintain a high protein intake, as this is a demanding and tough program. 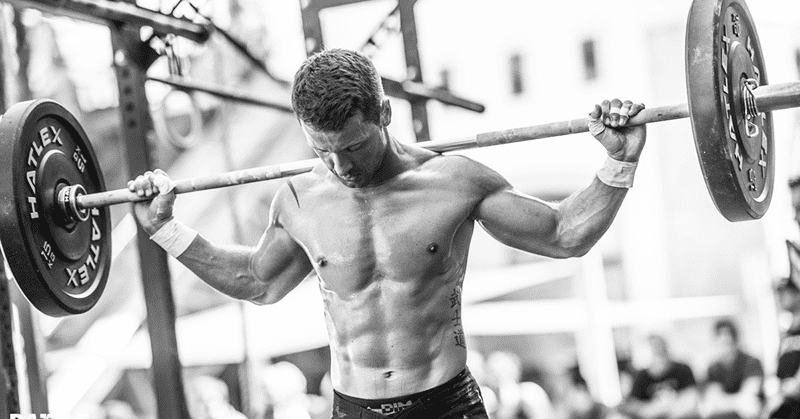 The routine above is one variation of the 5 x 5 training method. There are many different versions, but remember that the core barbell exercises, performed in sets of 5 x 5 reps are the heart of this program. The program is intensive, so don’t go more than 6 weeks without a deload week. This will give you time to recover, and hit the program again with renewed vigour and motivation. It is good to start lighter and progress upwards. You don’t want to be failing any sets. As a rough guide think about working up to 5 sets of 5 reps at 80% of your 1rm for the final week before you deload. If you don’t know your 1rm, test it for each exercise before you start the program. That works out to about 90% of your desired 90% intensity. I have experimented with this myself, and it appears to be accurate. Your first reps will feel easier than they should be, but your last ones will be done at what seems like 100%. Alternately, start light and jump up proportionately each workout. For example, if you find that you are getting towards failure with the bench press then progress that slowly, but if you are finding the deadlifts very easy then add weight in larger incremental jumps from one workout to the next. Never sacrifice form for weight as this leads to injury. German Volume Training is a tried and tested method that many successful athletes have used to pack on mass and build muscle. 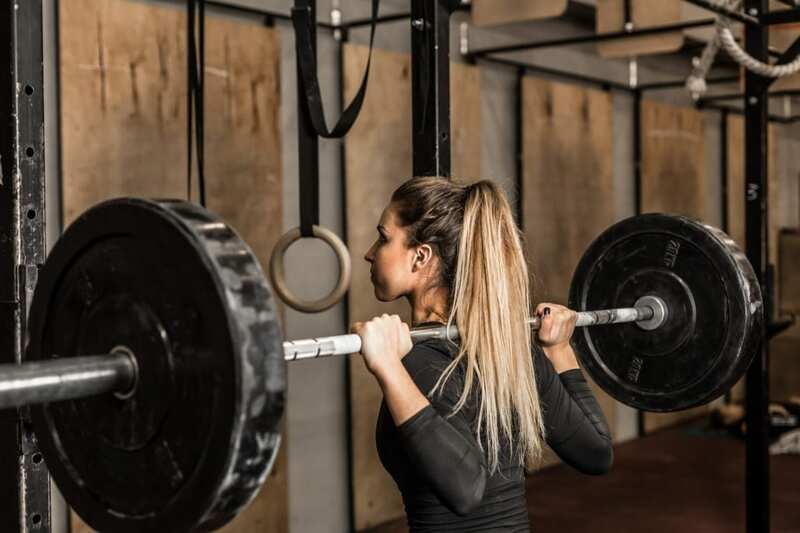 As it involves a large amount of volume, it can also be a great way to improve your strength whilst fatigued, a useful skill to transfer over into CrossFit®. The core of German volume training is 10 sets of 10 reps for a single body part per workout, plus accessory work. Rest is vital as this is an intensive program. You want to begin with a weight you could lift for 20 reps to failure if you had to. For most people, on most exercises, that would represent 60% of their 1RM load. Once you’re able to do 10 sets of 10 with constant rest intervals, increase the weight on the bar by 4% to 5%, and repeat the process. Rest for 60 – 90 seconds between sets. “In Germany, the ten-sets method was used in the general preparator phase to help weightlifters gain lean body mass. It was so efficient that lifters routinely moved up a full weight class within 12 weeks.” Charles Poliquin. With both of these training programs, allow yourself the proper time to rest and recover. Remember that discipline and consistency are essential. Stay committed, do the work and eat well and you will achieve the goals that you have always dreamed of.